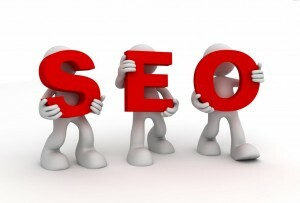 How is SEO linked with Link Building Services India? Link Building has been one of the conventionally practiced strategies to achieve SEO results in India. In spite of many new updates in the SEO practice, Link Building has not lost its relevance; instead its importance has been proved time and again. As a business, if you are looking for standard results in SEO, you cannot ignore the process of link building through various channels. One of the most reliable ways of building links or the back links to your website is by actively updating on the article directories. Article directories are highly effective and some of the most reputed platforms like Ezine are trusted by professional SEO companies. Article directories are known to accept content that is unique, fresh and informative. There are separate guidelines in-terms of format and keyword placement for each of those directories and similarly there are expert copy writing professionals who can design content according to such specifications. Besides the article directories, the past several years have seen the back links are being built through dedicated blogs. Your SEO partner can create theme based blogs and develop content on them regularly in a way that the traffic is routed to your website through these blogs. This has become a very well accepted strategy as there are options for the users to review your business and comment on the same. Search engines consider the websites that are open for user feedback to be more reliable than the normal ones. Click here to learn more about the Link Building strategies.